Titan and Marvel are celebrating the MCU's 10-year anniversary with a new collectors edition hardcover book, and we've got an exclusive look at what's inside. 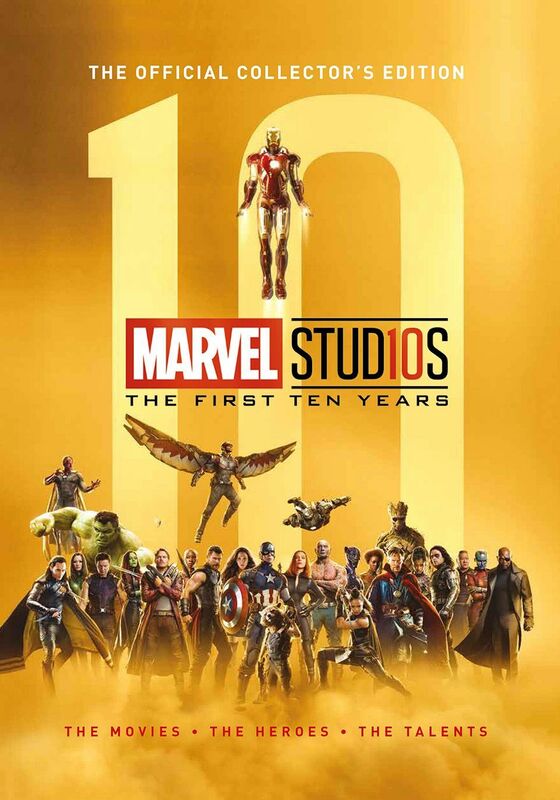 The new book celebrates the first decade of Marvel's movie empire and is fittingly titled Marvel Studios: The First Ten Years. The new collection features behind the scenes photos, breakdowns of each film in the timeline, easter egg guides, a flurry of interviews with actors like Robert Downey Jr., Chris Evans, Scarlett Johansson, Chadwick Boseman, Chris Hemsworth, Chris Pratt, and more. 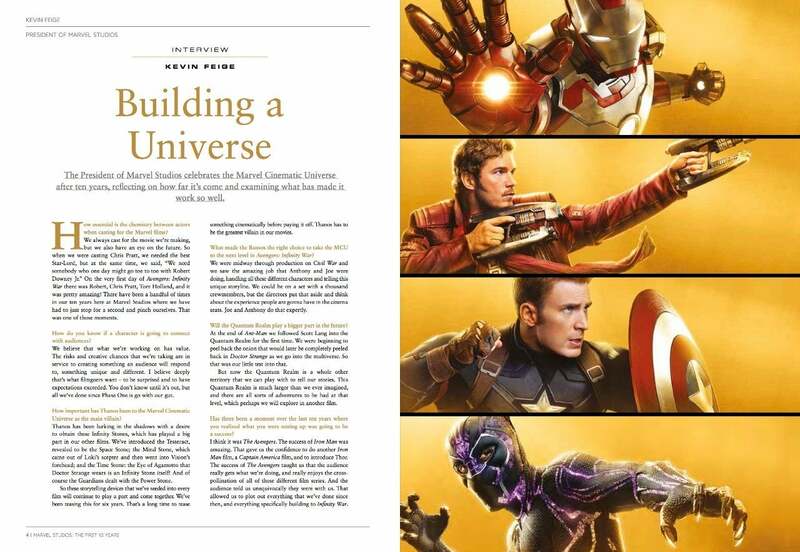 It also features interviews with Marvel Studios President Kevin Feige and Co-President Louis 'Esposito, and we've got an exclusive excerpt from the book featuring part of that Feige conversation. As you can see in the image below, part of that conversation features Feige being asked when the moment occurred that he realized this really was going to be successful, and it all came to fruition with Avengers. "I think it was The Avengers," Feige said. "The success of Iron Man was amazing. That gave us the confidence to do another Iron Man film, a Captain America film, and to introduce Thor. The success of The Avengers taught us that the audience really gets what we're doing, and really enjoys the cross-pollination of all those different film series. And the audience told us unequivocally they were with us. That allowed us to plot out everything that we've done since then, and everything specifically building to Infinity War." Feige also touches on how they approach casting, casting not only for the movie they are making but having to look ahead to other encounters. "We always cast for the movie we’re making, but we also have an eye on the future," Feige said. "So when we were casting Chris Pratt, we needed the best Star-Lord, but at the same time, we said, “We need somebody who one day might go toe to toe with Robert Downey Jr.” On the very first day of Avengers: Infinity War there was Robert, Chris Pratt, Tom Holland, and it was pretty amazing! There have been a handful of times in our ten years here at Marvel Studios where we have had to just stop for a second and pinch ourselves. That was one of those moments." You can find more of the interview in the image above, and for the whole thing, you can pre-order the full hardcover right here. You can find the official description of Marvel Studios: The First Ten Years below. "In 2008, Tony Stark made his first Iron Man suit. Shortly after, Nick Fury told Stark that he had “become part of a bigger universe...” In the years since then, amazing new places – like Wakanda – have been discovered, the Avengers have assembled, the Guardians of the Galaxy have formed, and old friends have fought a Civil War. Titan’s new Marvel Studios The First Ten Years includes interviews with stars Robert Downey Jr. (Iron Man), Chris Evans (Captain America), Scarlett Johansson (Black Widow), Chadwick Boseman (Black Panther), Chris Hemsworth (Thor), Chris Pratt (Star-Lord) and more, plus Marvel Studios President Kevin Feige and Co-President Louis D’Esposito." 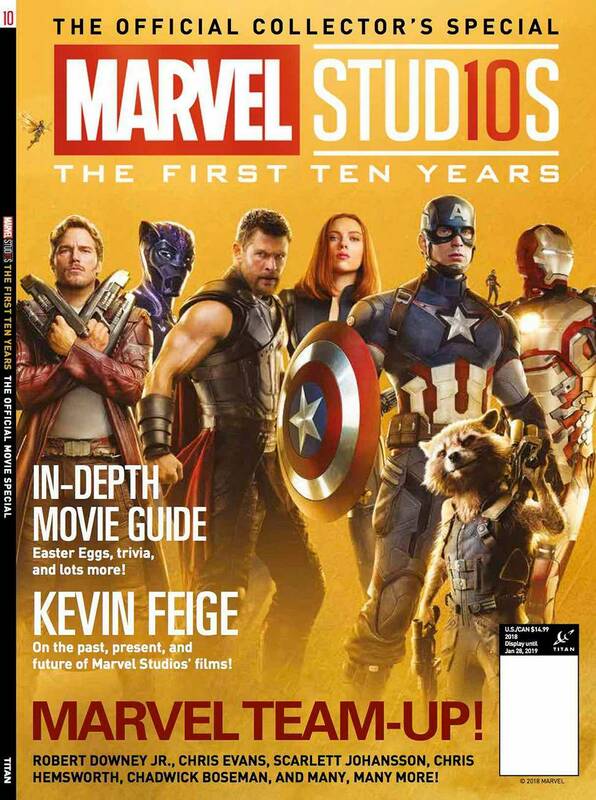 Marvel Studios The First Ten Years magazine edition is available now, while the hardback will be available on November 13th. You can also find Titan's other Marvel collector editions in stores now, which include Thor Ragnarok, Black Panther, Avengers: Infinity War, and Ant-Man and the Wasp.